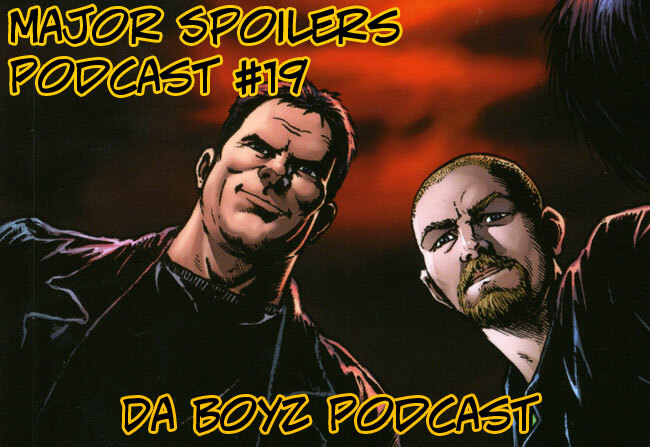 Greenskinned Goliaths, Skinheaded Mad Scientists, Chuckâ€™s out at DC, Chuckâ€™s IN at Wildstorm, random ramblings, rabid reviews, muties havinâ€™ babies, andâ€¦ Da BOYZ! 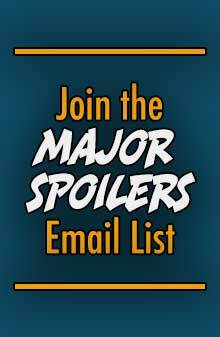 All this and more, in the nineteenth episode of the podcast that means wellâ€¦ The Major Spoilers Podcast! 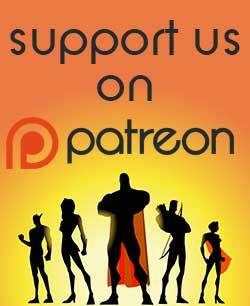 Greenskinned Goliaths, Skinheaded Mad Scientists, Chuckâ€™s out at DC, Chuckâ€™s IN at Wildstorm, random ramblings, rabid reviews, muties havinâ€™ babies, andâ€¦ Da BOYZ! 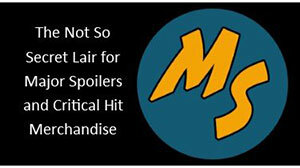 All this and more, in the nineteenth episode of the podcast that means wellâ€¦ The Major Spoilers Podcast!Â Keep the kiddies out of the room, as this episode gets a little blue. Stephen and Rodrigo really like the new movie from Marvel as they discuss the film and read listener feedback. Continuing the adventures of the newest generation of Xavierâ€™s School of students in a world where the X-Men premiered in 1963 and aged in real time. This issue, we focus on a member who is the grandson of a familiar mutant hero. He might not like school, but he does enjoy his burgeoning romance with the teamâ€™s most mysterious member. Unfortunately for them both, her secret past is about rear its cybernetic head. The hit NBC television series comes to comics as Chuck Bartowski and his friends are about to take the world by stormâ€”literally! From series co-executive producer Peter Johnson (Supernatural: Rising Son) and series writer Zev Borow joined with artists Jeremy Haun (The Leading Man) and Phil Noto (Jonah Hex) comes an adventure too big for television! In this globe-trotting, action-packed adventure, Chuck will see many exotic locales, dodge numerous bullets, and be tortured by the world’s greatest…tickler? The unforgettable conclusion to the ultimate game of survival between the DCU’s villains! Who will live? Who will die? Will anybody make it home? Collecting the first 6 issues of the controversial new series from PREACHER writer Garth Ennis and artist Darick Robertson (TRANSMETROPOLITAN)! Donâ€™t miss this dark, twisted look at SUPERPOWERS, super – people, and the men and women who make sure the worldâ€™s â€œheroesâ€ never go too far. Also features an introuction from writer, actor and producer Simon Pegg, the creator and star of Shaun of the Dead, Spaced and the upcoming Hot Fuzz! Great podcast, and yeah i really gotta go see the Hulk..don’t look at me like that, Ive been busy. If you read hte Flash, you would see that Grodd was healed of his fatal injuries by the white monkey thing before Spin teleports Grodd and white monkey thing away to Keystone.